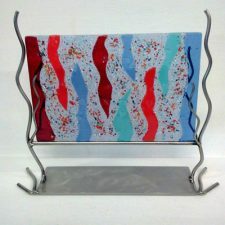 “Ocean Waves” is part of the artist’s water series. 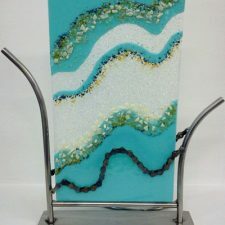 The glass is tack fused in a kiln to attain a very textural glass surface. 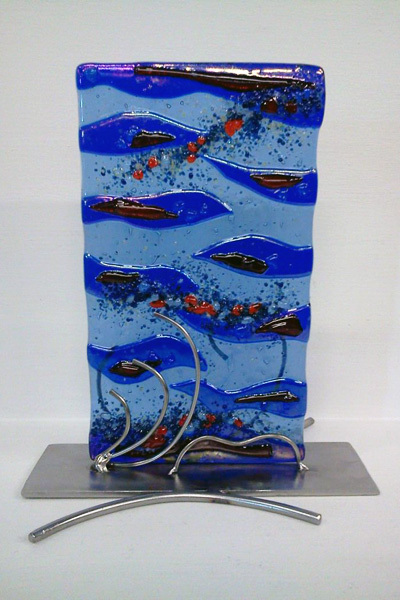 The design creation of the base adds to the water feel of the piece. The base is welded steel.